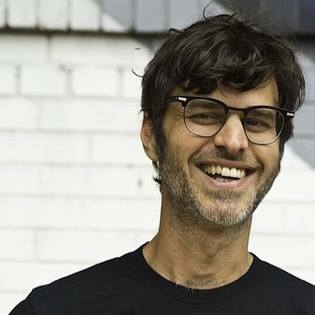 Anthony Rolando is the founder and head honcho of Make Noise, one of the big noises in the ever-growing Eurorack modular synthesizer scene. The company have quickly established themselves in the 8 years of their existence into one of the more widely known manufacturers in this modular format and besides manufacturing modules of varying kinds influenced by various past and current types of synthesis in which they seemingly mix and match their influences at will, they also market complete systems and, as of this year with their 0-Coast instrument, also stand alone devices. Make Noise gear first came to my attention shortly after they started making it and I sought it out and was personally impressed by what struck me as their fresh and positive approach to synthesis as demonstrated through their products. I then caught a few interviews and talks that Tony Rolando gave and were captured for posterity in places like You Tube and it became clear that there was a thought process and indeed, a man of ideas, behind the modules. So after my interview with Marc Doty that I published a few days ago the idea came to approach Tony and see if he too would share a little of his philosophy and thought process as it relates to synthesis, synthesizers and electronic music. I was happy when he agreed to do this. Below are the questions I asked him and the answers he gave back. ME: Tony, can you give readers the short version of your own electronic music history? What are your influences both musical and technological? TONY: Earliest electronic music discoveries for me were the Tape Music, musique concrete, of Pierre Schaeffer and others and then Morton Subtonick’s Silver Apples of the Moon. That would have been about 1989. 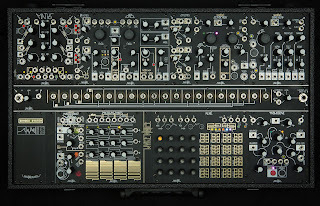 I searched for years for an Arp 2600 or some other modular synthesizer. I purchased reel to reel tape machines and made attempts at tape music. I programmed the Roland R8 drum machine and then the Akai MPC and also the Ensoniq Mirage sampler. I fell head over heels for the K2000 sampler and was thrilled to later discover that Bob Moog had worked on VAST development. I played music in bands and other ways for many years. I worked for 3 yrs at Moog Music. I founded Make Noise in 2008 to produce some small number of modules for the Eurorack format. Things changed dramatically over the past 3-4 years and now I am part owner of a company of 10 to 15 people that designs and builds electronic musical instruments. ME: Its always struck me that your company is called Make Noise. I emphasize the NOISE part of this as opposed to sound or music. Am I right to do this? What's the musical philosophy behind the company, if Make Noise has such a thing, and how does this play out in the devices you produce? In short, noise is music, music is noise. Art does not have to be organized by the parameters set by those people from our past. We should look to those people for inspiration, not restriction. ME: I'm a huge fan of the 0-Coast. I think its an extremely innovative instrument and a synthesis education all by itself. I think of something like the recent video you put up on your You Tube channel which showed how many of its circuits could be used as sound sources and not just the one labeled "oscillator", for example. 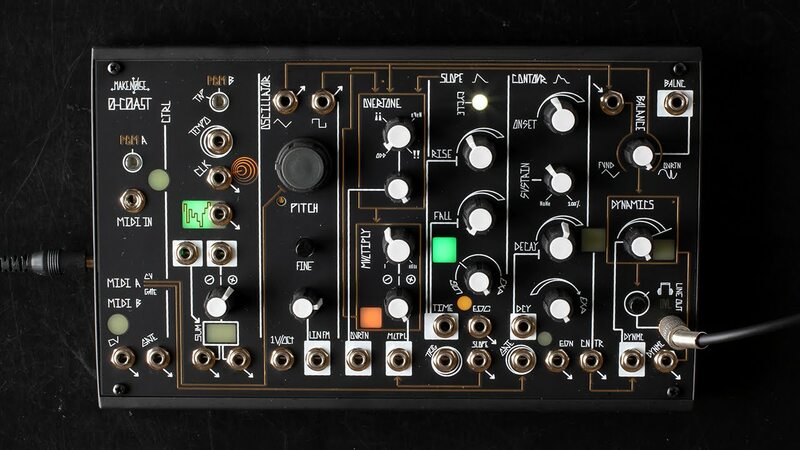 Without giving away any future Make Noise product releases, do you see producing self-contained devices like this as something you'd like to pursue further and do you see further ground Make Noise could cover in this area? TONY: We will likely develop more stand alone instruments and devices, but the core of our visions is the modular synthesizer system. 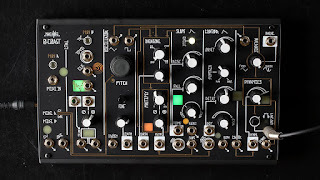 The Make Noise 0-Coast, so-called because it holds allegiance to no one form of synthesis. Its a self-contained synthesizer which, uniquely for Make Noise products, allows access via MIDI meaning that a standard MIDI keyboard can be attached directly to it for playing purposes. ME: I recently interviewed Marc Doty and he described Eurorack as a whole as significantly influenced by Don Buchla's "machine music" paradigm of generating sounds from a synthesizer, a paradigm he said was focused on "the creation of automated electronic music with synthesizer sounds". Make Noise's Shared System is one of a few self-contained systems within the Eurorack world but it has no MIDI interface. As such, it seems to stand within this "machine music" paradigm of synthesis that Marc describes in that it discourages attaching a traditional musical keyboard to it and, therefore, it encourages other means of generating sounds such as your sequencer, Rene, and the Pressure Points module (for example). Is this Make Noise taking a side in the varying paradigms of generating sound from synthesizers and, if so, why have you chosen this side? TONY: When I discovered the Control Voltage, I jettisoned MIDI. I find that MIDI is too hard to deviate from and often leads people to create the same music over and over again. This idea that to create electronic music you must have a “bass drum, snare drum, hi-hat, bass synth, lead synth…” and so on is conforming far too much to the ideals of pop-rock music aka the Beatles. Like any breathing human I can appreciate the Beatles, but I have no interest in re-creating it. So I no longer use MIDI. I did include it within the 0-COAST because I wanted to create an instrument that could be used by nearly any musician, and MIDI is a very common communication protocol that many musicians have access too and use. The hope though, is that these MIDI musicians will explore outside the MIDI control and use the CV I/O of the 0-COAST. ME: Do you agree with Marc Doty when he describes Eurorack's "underlying focus" as a West Coast form of synthesis? TONY: A great deal of the modules available in Eurorack format focus on East Coast techniques and then there are still more modules which are rooted in neither East nor West. Eurorack is the very heart of No-Coast synthesis… where a system could include everything from a wave folder (west coast) to a ladder filter (east coast) and also a granular pitch shifter (cloud coast?). We live in the midst of a synthesis revolution. 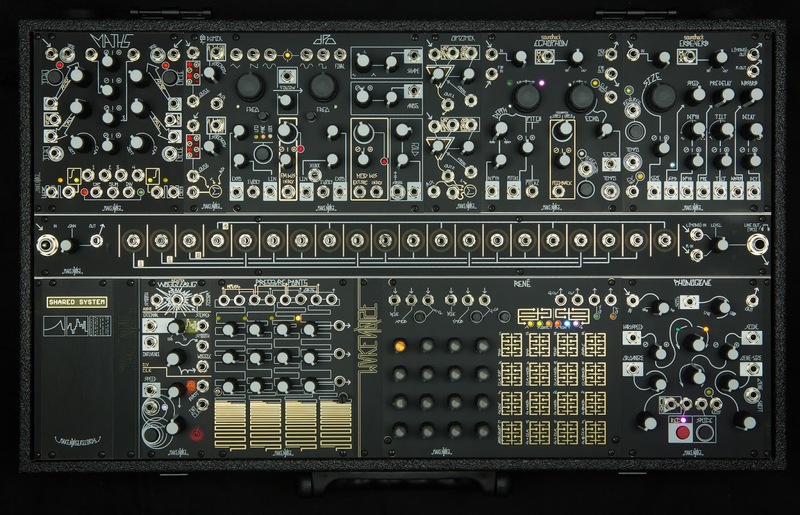 Eurorack is unlike anything that has ever happened in synthesis technology. Only the software synthesis revolution of the late 90’s is even comparable. ME: If you had control of the entire Eurorack standard from a technical point of view what three things would you change about it? TONY: I would change nothing. By changing anything about Eurorack you risk damaging its spirit, and the spirit of Eurorack is quite unique and amazing. No need to change it. Even the most poorly designed modules have their place in the history, if for no reason but to remind us how not to develop modules. Sure there are flaws, but we work with those flaws daily and great things have happened in the last decade. Eurorack is the “wild west” and it should forever be so. ME: A nice easy question to finish. Often I see threads across the Internet bemoaning the lack of "innovation" in synthesizers these days. So I want to ask you what is the future of synthesis in your view and what innovations should we be aiming for? TONY: I disagree strongly. I feel that with the Eurorack community there is a great deal of innovation. So much that it is tough to follow all of it. People who bemoan such things are merely bored and seeking human interaction via social media or forums where other people are also seeking human interaction. Just leave your home or office more often and enjoy the wonderful musical instruments and tools available to us today. Or take up the banjo. I want to thank Tony for taking the time to do this interview and for sharing his thoughts. I find them to be both interesting and stimulating, especially when compared and contrasted with those expressed by Marc Doty on this blog just a few days ago. I shall have more to say about this in a future blog. A good inspiring interview! I do think there is unexplored territory to be found with MIDI plus modular, but I agree that it is easy to fall into black & white keyboard music.